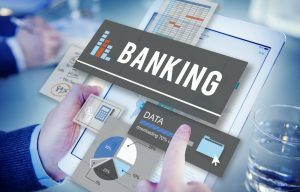 The advancement in technology, particularly Internet and Information Technology has prompted better approaches for working together in banking. These innovations have chopped down time, working all the while on various issues and expanding effectiveness. The center financial programming is introduced at various parts of bank and after that interconnected by methods for correspondence lines like phones, satellite, web and so forth. AYS TECHNOLOGY has improved Comprehensive Core Banking Services, on a redistributed Application Service Provider (ASP) model to empower your bank to incorporate every one of your branches and have a solitary perspective on the bank for compelling administration and control. It joins IT benefits, systems administration and center financial application framework in a pack, which causes you to run your bank productively and in a savvy way.